Customer centricity can be applied not only at the organizational level but also at the functional and ultimately the individua level as well. When it comes to your marketing communications it means doing what you can to avoid wasting a customer’s time with emails that don’t educate, promotions that aren’t relevant, or product offerings that are too confusing for even a rocket scientist to make sense of. One technique that can really help prevent making mistakes with your target audience is the judicious use of what is known as Split Testing. 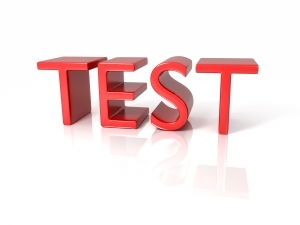 Split Message Testing involves comparing a baseline control message to a number of single-variable test messages with an objective of increasing the rate of response. 1. Define something you want to test for in a marketing message (e.g. pricing, a headline, image or promotional offering). 2. Create multiple copies of a marketing message where you only change the part of the message you are testing for. 3. Define a different random segment of a population to receive each message variation. 4. Send the messages to each of your defined customer groups. 5. Analyze the results side-by-side. Simple split testing allows you to optimize things like where to place links in emails or on websites, pricing and discount offers, color and font choices, tone of voice and product naming. It can mean the difference between causing large members of your interested population to opt-out and driving significant revenue for your business. How customer focused are your marketing messages? This entry was posted in Marketing and Customer Communications, Uncategorized and tagged marketing communications;marcom;split testing;customer focused communications. Bookmark the permalink.